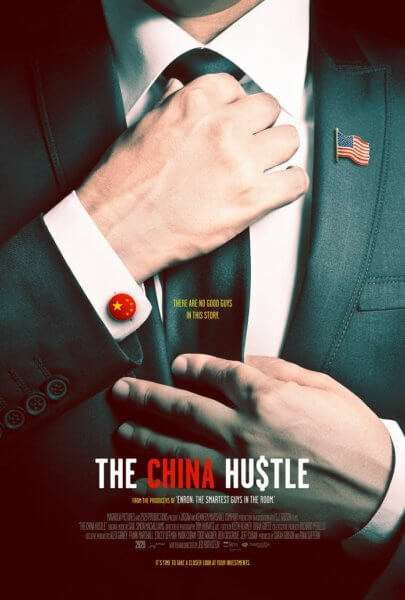 Magnolia Pictures has just released the trailer for The China Hustle, a new documentary from writer/director Jed Rothstein (Parched, Death Row Stories). Frank Marshall, Stacey Offman, Alex Gibney, Mark Cuban, Todd Wagner, Ben Cosgrove, and Jeff Cuban served as executive producers. Sarah Gibson and Ryan Suffern produced the timely documentary that delves into the financial world in China. The China Hustle features Dan David, Matthew Wiechert, Carson Block, James Chanos, Soren Aandahl, and Maj Soueidan. Magnolia is set to release the documentary in theaters, On Demand, on iTunes, and Amazon Video on March 30, 2018. Director Jed Rothstein’s previous credits include Hidden Crisis: Women & AIDS (which he also wrote), God’s Next Army, Before the Spring: After the Fall, an episode of Death Row Stories, two episodes of The New Yorker Presents, and one episode of Parched. Additional producing credits include Made in America, Coma, The IFC Media Project, and Killing in the Name. The Plot: From the producers of Enron: The Smartest Guys in the Room comes a Wall Street heist story about a still-unfolding financial crime so big, it has the power to affect all of our wallets. Investors on the fringes of the financial world feverishly seek new alternatives for high-return investments in the global markets, and have found a goldmine in China. But when one investor discovers a massive web of fraud, everything else is called into question. Jed Rothstein’s documentary rings the alarm on the need for transparency in an increasingly deregulated financial world by following those working to uncover the biggest heist you’ve never heard of.